Lakewood Theatre Company is again participating in Portland's Fertile Ground Festival, taking place from Jan. 24 through Feb. 3.
laboration with local nonprofit theaters. Lakewood will premiere four new works as staged readings, including Young Playwrights' Festival at 2 p.m. Jan. 26; "a dangerous joy" presented Sunday and Monday, Jan. 27 and 28 at 7:30 p.m.; "Sides: The Musical" presented Tuesday and Wednesday, Jan. 29 and 30 at 7:30 p.m.; and "Dancing With July" at 2 p.m. Saturday, Feb. 2. ¦ The Young Playwrights Festival is a collection of one-act plays by high school playwrights from the Portland metro area who have been selected to work with professional directors and actors to gain insight, experience and feedback to develop their plays. YPF provides an opportunity for these playwrights to learn and discover how to hone their playwriting skills through a series of workshops with theater professionals. The teen playwrights include Megumi Hoff, Emily Imanishi and Aishwarya Marathe, all students at the Arts and Communication Magnet Academy in Beaverton. Learn more about them in an article to be published Jan. 17 in The Review and Tidings. Tickets are $10 each online at lakewood-center.org. ¦ "a dangerous joy" is based on German pastor and theologian Dietrich Bonhoeffer's true life story. Writer and director Terry Lomax has written a fictional account of the last hours of Bonhoeffer's life. Filled with suspense, drama and romance, "a dangerous joy" presents this question: What is worth living and dying for? Although it is a staged reading, this production includes professional actors, authentic WWII costumes, original music and sets and a multi-media presentation which will transport audiences and open their eyes to the power and influence of "a dangerous joy." Tickets are $15 each online at lakewood-center.org. ¦ "Sides: The Musical" has music, lyrics and direction by Matthew Capurro and musical direction by Jeffrey Michael Kauffman. Every relationship's story has at least two sides. This highly anticipated song cycle, featured in sneak preview last summer at Portland Playhouse, explores stories of romance, family and friendships from their many sides, as characters share their sometimes poignant, sometimes comical perspectives. Tickets are $15 each online at lakewood-center.org. ¦ "Dancing With July" features music by Jean Lee, lyrics and musical direction by Hayley Green and direction by Jorie Jones. The story follows a man who will never leave the woman he loves — a woman who will not let herself see the truth. "Dancing With July" is a story about the power of human connection, grief, renewal and moving on, and allows the audience a moment to consider the most precious people in their lives and how they could reconcile a loss of that magnitude and still find something beautiful. The sweeping, melodic score composed by New York songwriter Jean Lee helps to create a deeply moving story that lingers with the viewer long after the last note fades. Tickets are $10 online at lakewood-center.org. 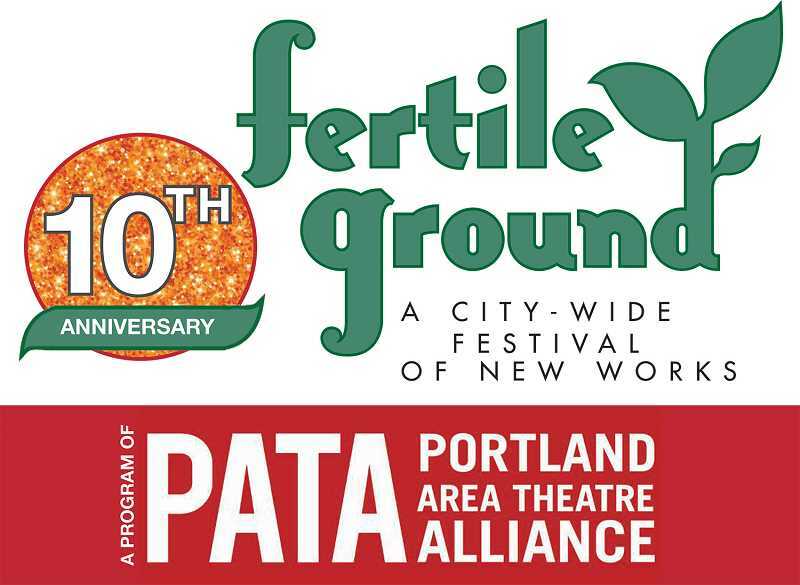 Festival passes to all Fertile Ground shows are available for $50 online at lakewood-center.org. Fertile Ground Festival can be found online at fertilegroundpdx.org.